After a day exploring Reyjkavik, Café Babulu is a stone throw from the Hallgrimskirkja Church. 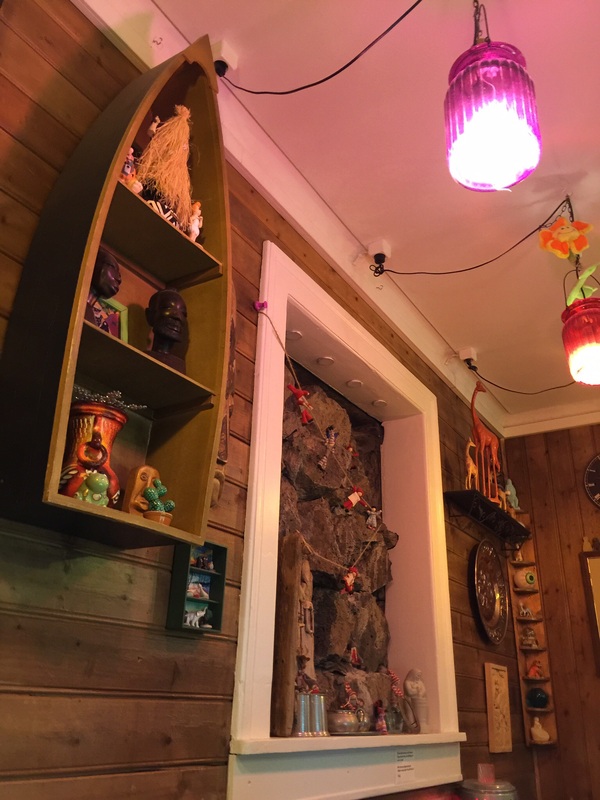 The quaint establishment is adorned with interesting objects that looked like they were collected from all over the world over numerous years. There were dolls, elves, trolls, and even a retro pac man amongst it all. Notes of money were hanging on the pillars, with a cuckoo clock ticking and coming to life on the hour. 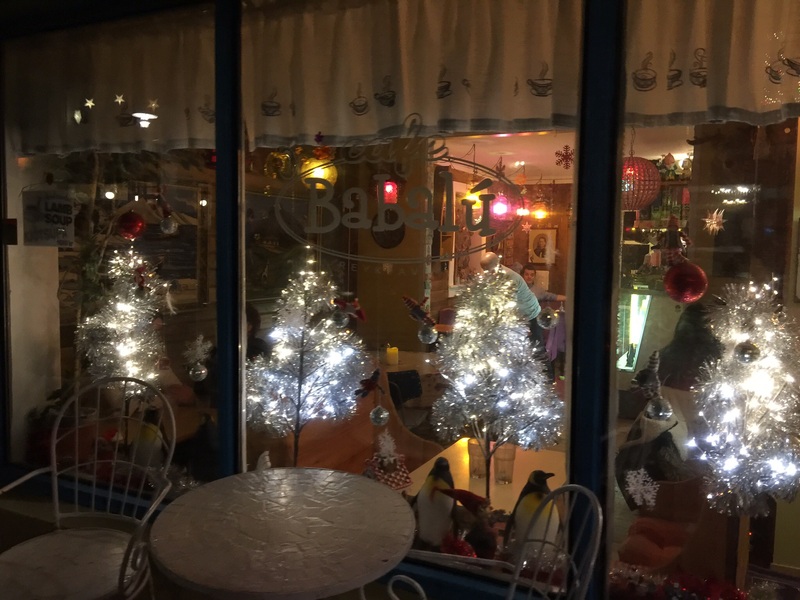 A cafe with a lot of character and a really snug, warm homely feel that you won’t want to leave. 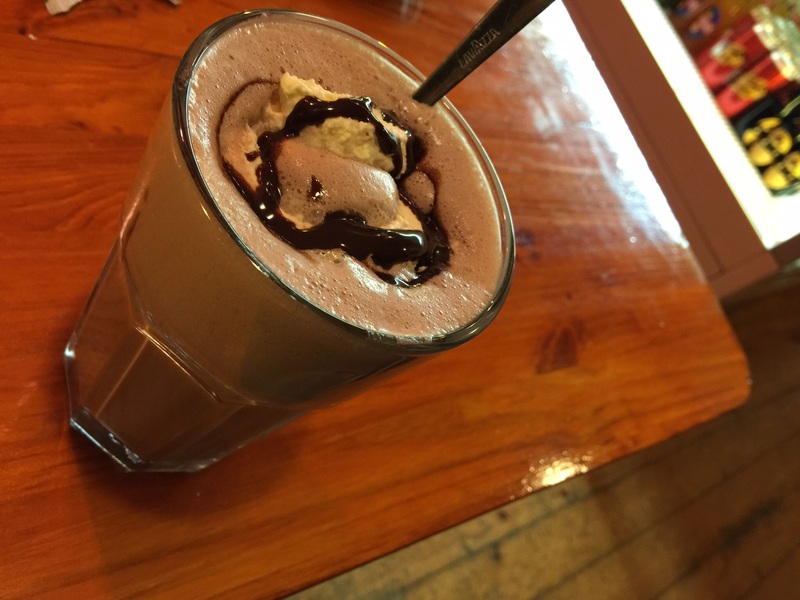 We couldn’t resist some hot chocolate, topped with whipped cream at the quirky Cafe Babalu. 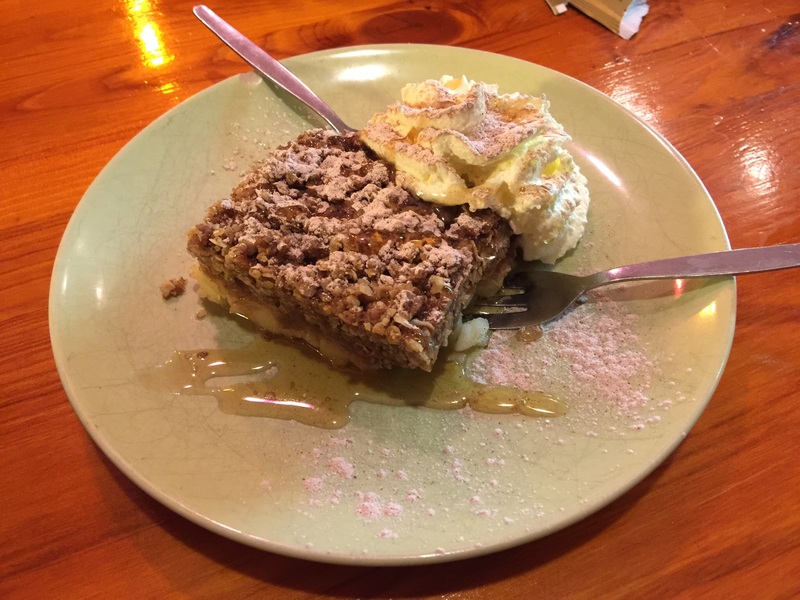 The hot apple crumble was topped with oats and maple syrup and was delectable. We will have to pop back to try the Nutella Cheesecake. This places is so lovely we would recommend it for a special afternoon tea.